A Dark And Cratered Moon! Callisto is the 3rd largest moon in the solar system, yet shows no signs of any geological processes that have altered its surface since its formation resulting in it having the Oldest and most Cratered surface in the solar system. Callisto’s discovery in 1610 (along with the other Galilean Moons) played a significant role in the advancement of astronomy and our understanding of the solar system. Read More Interesting Fun Facts About Ancient Callisto! 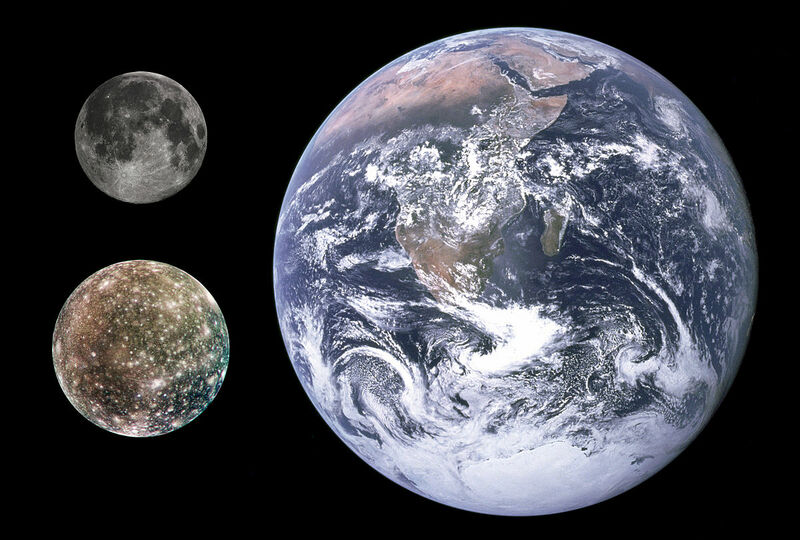 The discovery of Callisto, and the other Galilean Moons in 1610, was the first time an object was observed to be orbiting another planet and lead to the understanding that the planets orbited the Sun and not the Earth! 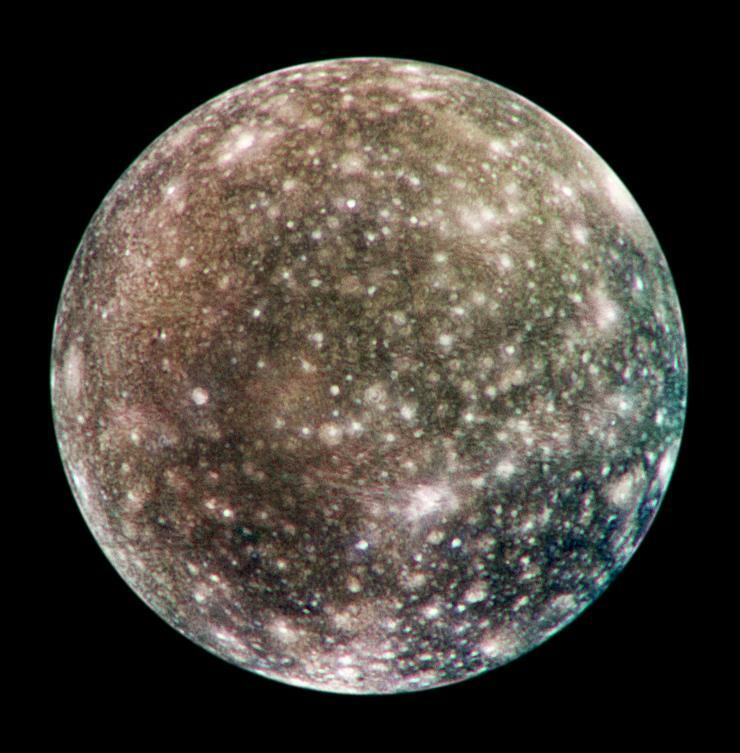 Callisto is Jupiter’s 2nd largest moon and is 99% the size of the Planet Mercury (only 58km smaller) but only 1/3rd the mass due to its high water-ice composition! Strangely, Callisto is the only object over 1000 km that shows no signs of geological processes that have altered its surface since its formation 4 billion years ago. 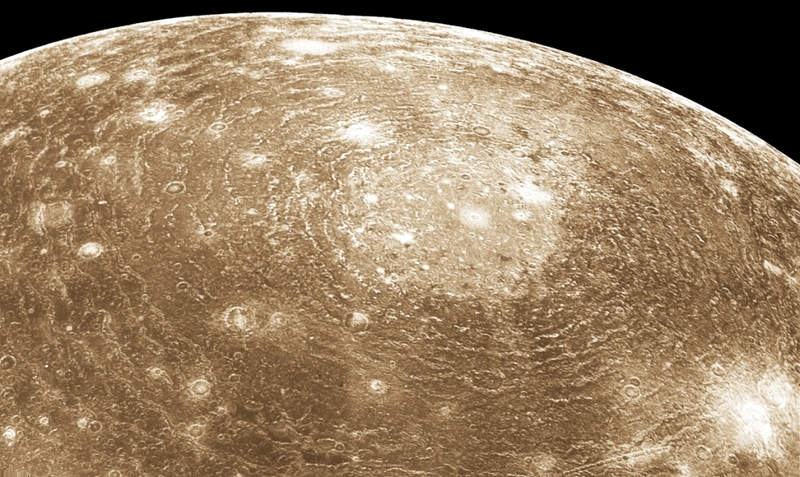 As a result, Callisto has the most heavily cratered surface in the solar system and is assumed to be a long-dead world geologically. 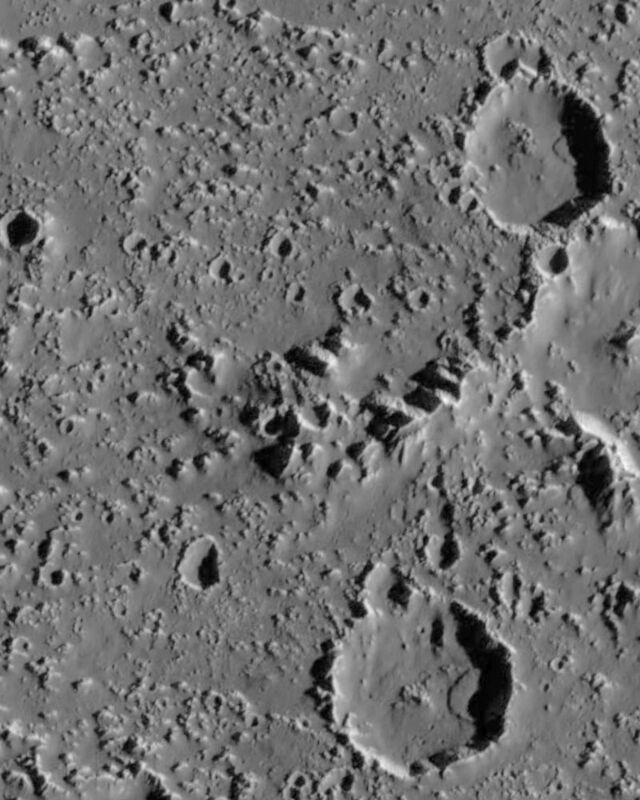 Surface features are dominated by impact craters, at all scales, of various types. The largest two are enormous multi-ring basins called Valhalla (with rings extending as far as 1,800 kms from the centre) and Asgard (rings extending 1,600 kms). 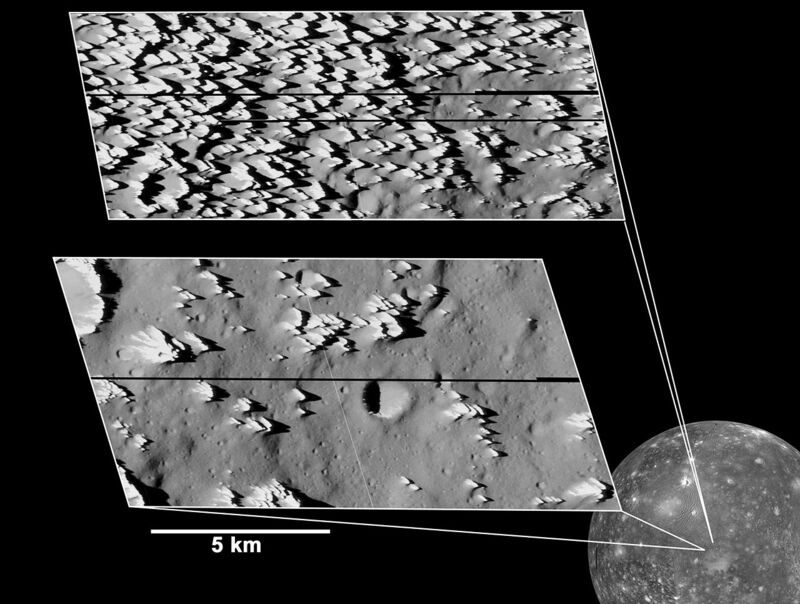 These features likely formed after colossal impacts which fractured the stiff icy surface (lithosphere) that lies over a soft or possible subsurface ocean. 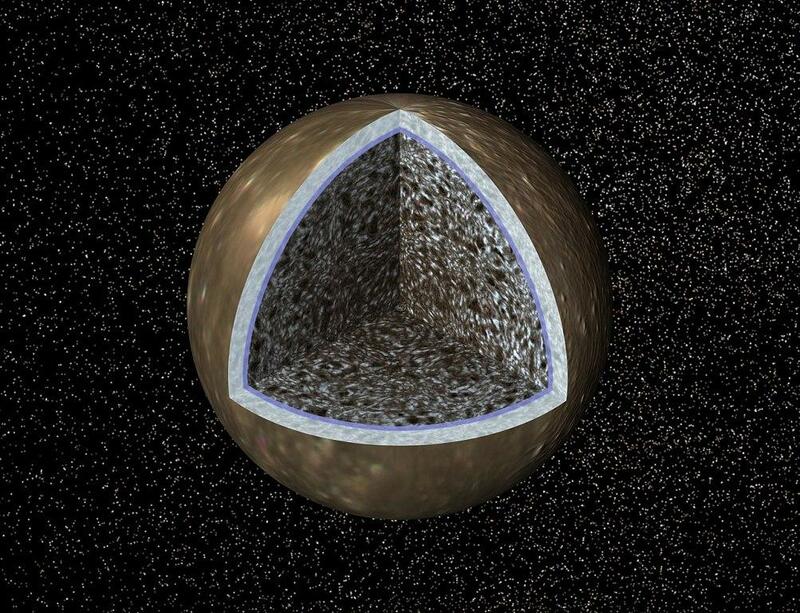 Scientists have calculated that Callisto orbits too far from Jupiter (or the other large Galilean moons) to cause internal heating through tidal forces. Likely on account of its ancient surface, Callisto is the darkest moon of Jupiter – yet it is still twice as bright as the Earth’s Moon! The surface is primarily composed of water-ice, carbon dioxide ice and silicate rock material. A low density of 1.83 g/cm3 suggests that Callisto is composed of equal parts water-ice and rocky material along with other trace volatiles. Below the cold, stiff, icy surface may lie a liquid ocean and a partially differentiated core made up of a mixture of water ice and rocky material. 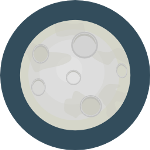 Callisto has a very thin atmosphere made up primarily of carbon dioxide. 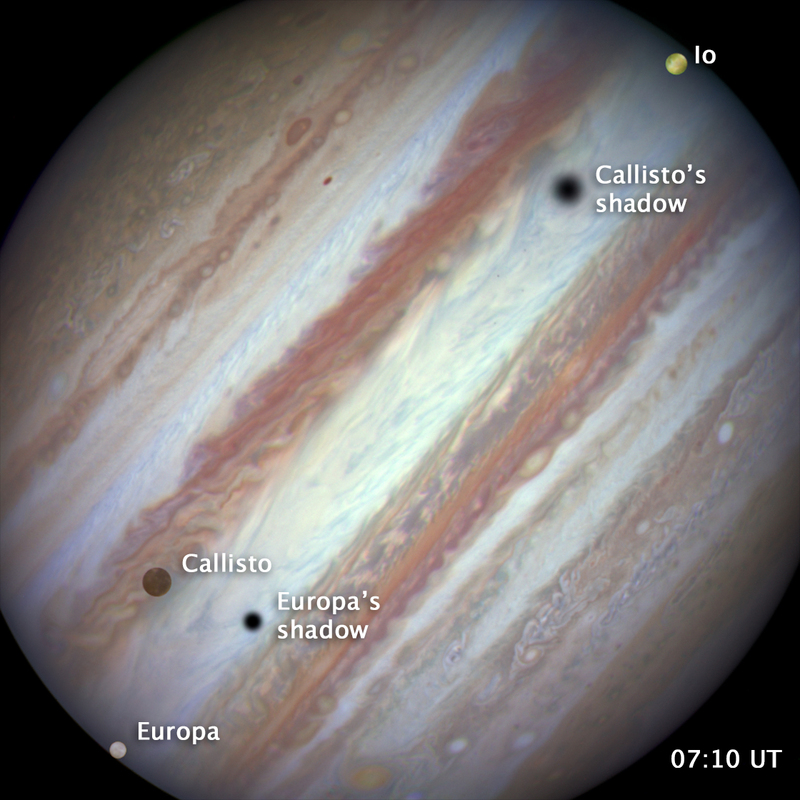 Callisto is believed to have formed by the accretion of the gas and dust that surrounded Jupiter after the planet was formed during the solar system's formation. 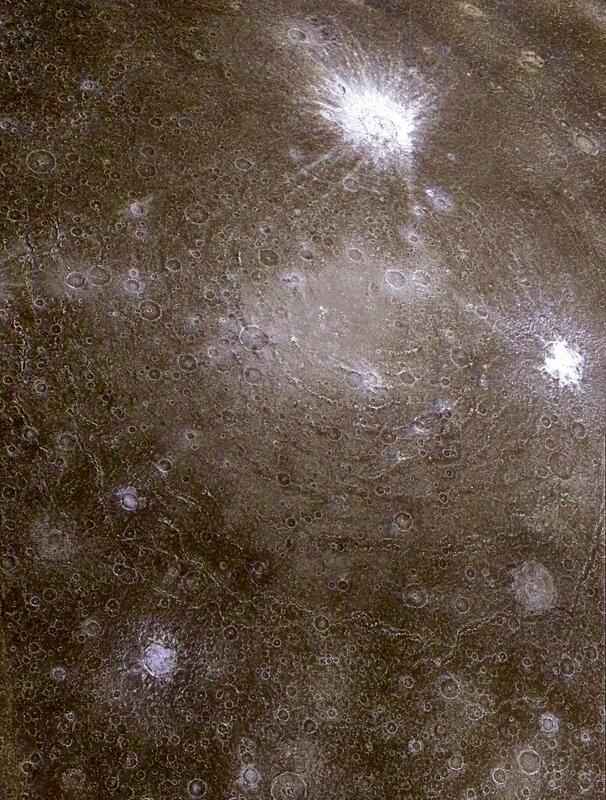 The Voyager I and Voyager II spacecraft were the first to image Callisto in detail, with additional observations made during the Cassini-Huygens and New Horizons flybys. The first probe to orbit Jupiter, Galileo, made extensive studies of the moon during its 8 encounters, passing within 138km of the surface! A specific mission to study Jupiter’s icy moons the European Space Agency's JUICE mission (JUpiter ICy Moons Explorer) will focus on the (potentially habitable) icy moons of Europa, Ganymede and Callisto. 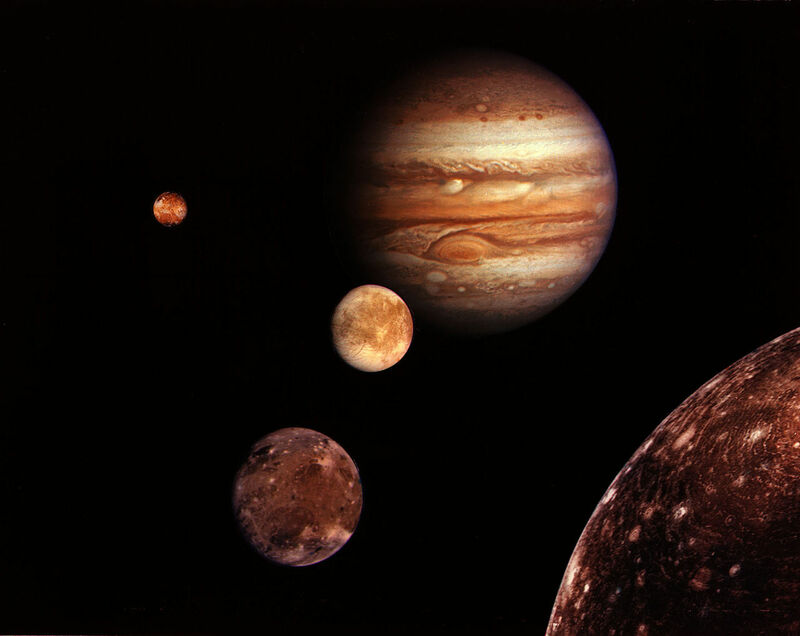 Callisto could one day serve as a moon base for human exploration of the Jovian System as Callisto largely orbits beyond Jupiter’s intense main radiation belt. The Big Bang Theory | A Universe Bursts To Life!